The BARRE LIFE magazine in 1980 published a series on how to use Barre-Pak epoxy. How about this blast from the past? Oldie but definitely still a goodie! 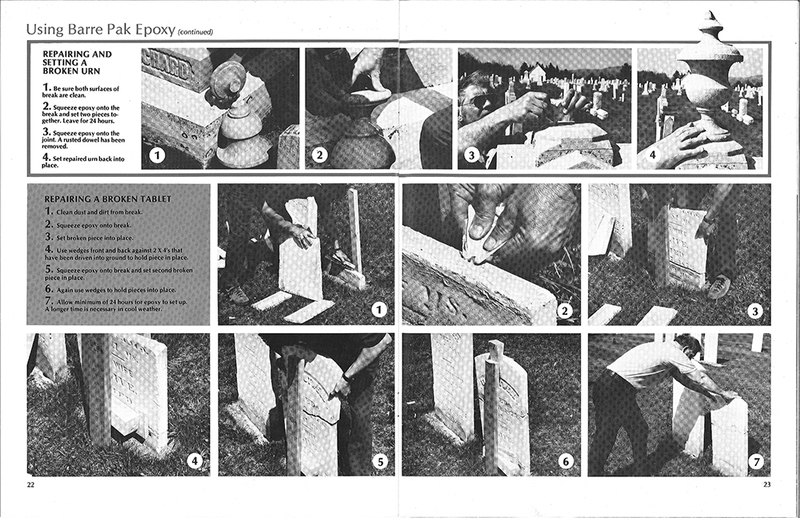 Use it for repair or setting of a new memorial in the cemetery. 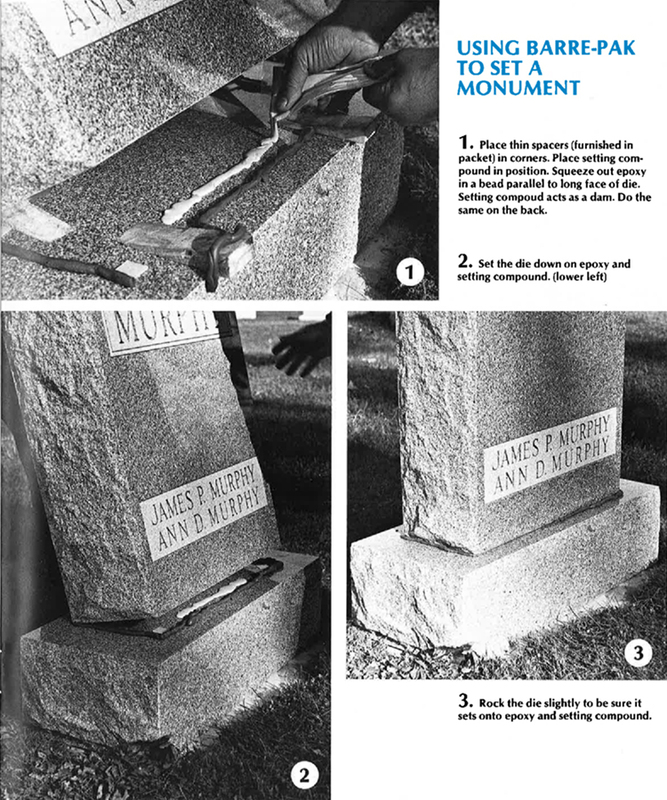 Using an epoxy adhesive to set monuments and headstones can prevent vandalism in later years. No mess! Convenient one-time-use container comes in a plastic envelope with a divider in the middle. 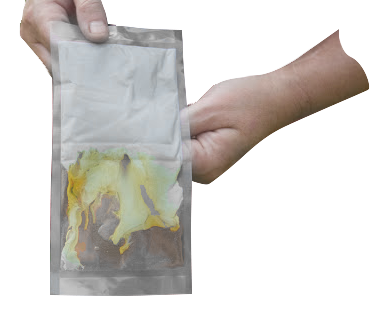 Pull out the divider that separates the hardener from the epoxy and squeeze to mix the two components – all in the same package. Snip off an end and squeeze to run a bead! 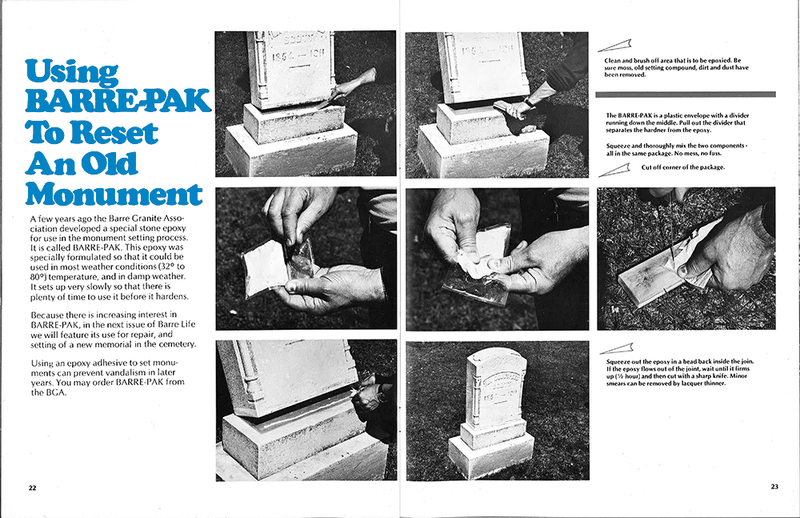 Use Barre Pak to set a new monument or for resetting an old monument, also repairing and setting a broken urn and repairing a broken tablet. 1. Place thin spacers in corners. Place setting compound in position. Squeeze out Barre Pak epoxy in a bead parallel to long face of die. Setting compound acts as a dam. Do the same on the back. 2. Set the die down on epoxy and setting compound. 3. Rock the die slightly to be sure it set onto epoxy and setting compound. 1. Clean and brush off area that is to be epoxied. Be sure moss, old setting compound, dirt and dust have been removed. 2. Pull out the divider in the Barre-Pak and squeeze to thoroughly mix the hardener with the epoxy, cut off a corner. 3. Squeeze out the epoxy in a bead back inside the join. If the epoxy flow out of the joint, wait until it firms up to 1/2 hour and then cut with a sharp knife. Minor smears can be removed by lacquer thinner. 1. Be sure both surfaces of break are clean. 2. Squeeze epoxy onto the break and set two pieces together. Leave for 24 hours. 4. Set repaired urn back into place. 1. Clean dust and dirt from break. 2. Squeeze epoxy onto break. 3. Set broken piece into place. 4. Use wedges front and back against 2x4s that have been driven into ground to hold piece in place. 5. Squeeze epoxy onto break and set second broken piece in place. 6. Again use wedges to hold pieces into place. 7. Allow minimum of 24 hours for epoxy to set up. A longer time is necessary in cool weather. 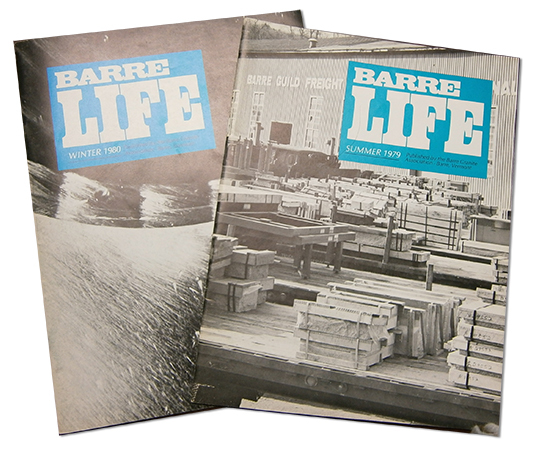 Barre-Pak epoxy was featured in a series in Barre Life magazine around 17 years ago. It is still popular because it works and is convenient and easy to use! See it & Buy it here.